Is the foldable phone going to change the mobile industry forever? What are the potential pros and cons of such devices? And what could foldable phone success mean for the mobile video games industry? All the major phone brands have turned the corner this year and are competing to bring the first foldable phones to the market. Samsung, Xiaomi, Huawei, Apple and plenty more are either announcing foldable handsets or recording foldable phone patents – opening the market up for consumers. But is the foldable phone going to change the mobile industry forever? What are the potential pros and cons of such devices? And what could foldable phone success mean for the mobile video games industry? How do foldable phones work? Foldable phones might look like just a thicker counterpart to your regular smartphone, but on closer inspection, they’re rather revolutionary. The magic of this new tech lies along the edge of the screen. Instead of simply being a thick edged smartphone, foldable devices allow the user to unfurl their smartphone screen – making it equivalent in size to a tablet. The result is that a user can then change the size of their device depending on the context – making it easier for them to choose how they want to interact with their apps. What are the potential positives of a foldable phone? The big positive of a foldable phone is its potential versatility in comparison to different touch devices. While most apps and games adapt their user interface and experience to meet the different demands of tablet and smartphone usage, a foldable phone allows users to pick the experience they want at the time that’s right for them. For example, a user might be firing off some quick messages on Instagram and taking some selfies in portrait mode on the smartphone-sized screen. Suddenly though, they get an email asking them to work on a spreadsheet. Without a foldable device, the user would have to wait to use a different device to deal with the problem or attempt to manage it on a small smartphone screen. But with a foldable phone, they could make their device tablet sized and immediately work from there. It’s an attractive and potentially revolutionary prospect for users. And with so many apps still falling into “ideal for a smartphone” or “tablet ready”, a foldable phone could be the multi-purpose device those users need. What are the problems with foldable phones? Well, the first problem is a simple one: the cost. Samsung’s Galaxy Fold – one of the first foldable phones set to hit the market, is set to retail at roughly $2000 in the US. Even when that cost is ameliorated into a standard mobile device contracted, foldable phones will – inevitably – be an exclusive niche, to begin with. And the second problem with foldable phones is that the technology is still experimental. How durable is a foldable phone going to be? Will it stand up to the stresses and strains of everyday usage? And how will you protect it when it lacks the plethora of device cases and peripherals of other devices? The answer to every one of those issues is not entirely clear. Samsung states that their flexible Galaxy Fold phone can endure 200,000 folds, which roughly comes to about 100 folds every day for 5 years. That figure, however, is an estimate and unlikely to be based on extensive field research. With Huawei providing no such information on their foldable device, consumers could see such handsets as risky. Finally, foldable phones still suffer from slightly ‘ridged’ screens. This means that such devices do not offer a seamless tablet screen, meaning that those who do want a perfect display to work on (e.g. a graphic designer using a smart pen) may decide the slightly disjointed screen isn’t worth it. If foldable screens do become the norm, what could it mean for game developers? 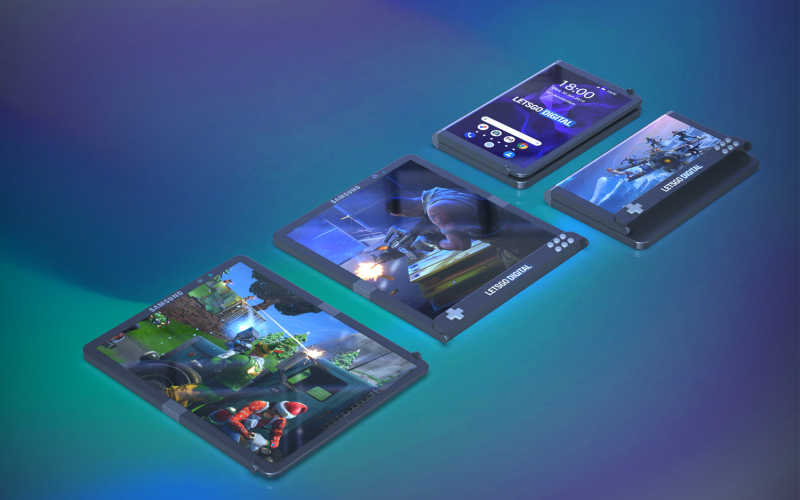 If foldable screens did take over the smartphone market, it would likely prove beneficial for video game developers across the world. First, it would likely end the division between “smartphone” and “tablet” gaming. While that has been eroded significantly over the last few years – especially due to the rise of larger phone screens – there remains some games that are best experienced only on a larger tablet screen. Foldable phones would remove that distinction, helping eliminate that separation. This would lead in turn to a second benefit for game developers – the option to utilise a bigger screen as a standard for mobile games. Rather than designing down to fit a smartphone screen, developers will be able to design “up” to a tablet-sized screen – freeing up more room for UI elements and supporting games that require bigger screens (e.g. action-packed titles, detailed strategy games). Third, and intriguingly, it could help the mobile games industry outflank the Switch. 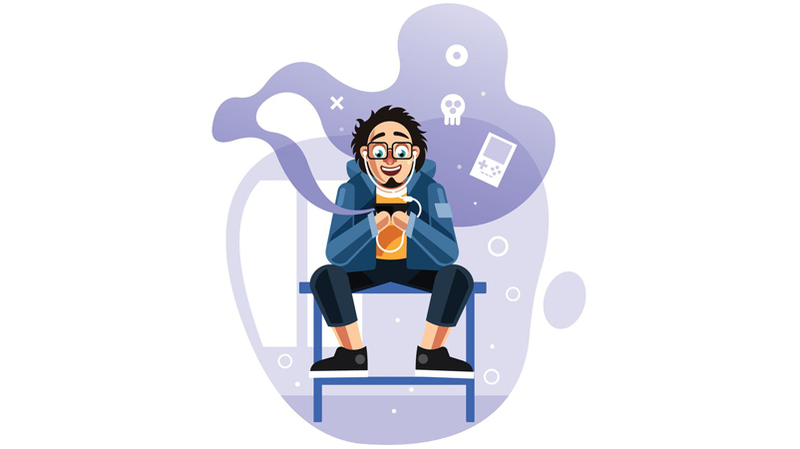 A patent from Samsung for a dedicated foldable gaming phone suggested that such devices could make an intervention into the console space – encouraging independent developers who have thrived on Nintendo’s successful device back into mobile releases. However, foldable phones would not make everything rosy for developers. First, they will be faced with an optimization challenge that could take some time to overcome: aspect ratios. The Samsung Galaxy Fold will hold a 21:9 aspect ratio when folded and then switch to a 4.2:3 aspect ratio once opened. Meanwhile, the Huawei Mate X is even more complicated, having two different aspect ratios when folded, one for the back and one for the front. With developers already struggling with a plethora of ratios, the idea of a game shifting seamlessly from ratio to ratio on a variety of devices could be problematic.And with that constant shifting, developers will have to think differently about their games. In particular, they will need to think more like mobile web developers and work out how to build a ‘universal’ experience that shifts as phone formats and orientations shift around. So while foldable phones may be exciting for developers, they certainly present some problems that game creators will need to work hard to overcome. If done right, foldable phones have the potential to pivot the mobile games industry towards a flexi gaming future. While the technology might have a lot of kinks to iron out as of now and the cost might prove restrictive to consumers, phone manufacturers are making a reasonable bet that consumers will pay a premium in the long term for flexibility. Mobile game developers should, therefore, start preparing for a foldable tomorrow. After all, those companies that have been flexible enough to grab a first move advantage in the space have often gone on to wider success.